I’m sure you’re familiar with security scanner called OpenVAS. For those who don’t know what is it, check here and here for more details. During some web-research I found couple of articles I think you should read. 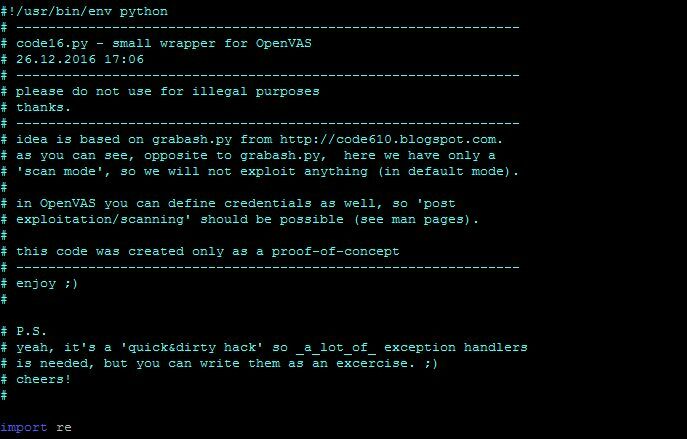 You will find there OpenVAS command line described as well as few tips&tricks about the usage of the tool. I know it's extremely easy to write a wrapper like this, nothing new here. 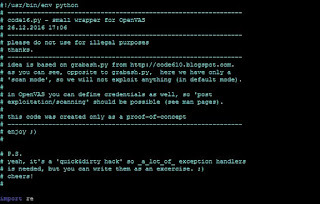 Just few python lines and cool print messages. 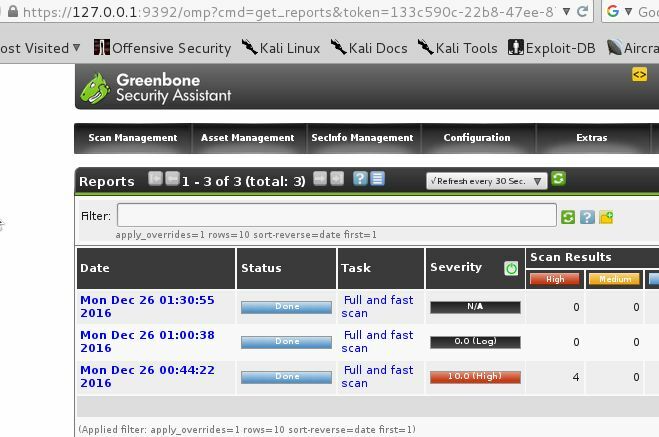 ;) As far as I'm familiar with the documentation of the OpenVAS, there is also a way to get some results as a file-"report" and save it to PDF/HTML document. Maybe you will find the idea useful. How to install OpenVAS on your box, you will find here or you can use the script described here. Assuming, you already have installed and working OpenVAS, check the poc source located here. In case of any questions, feel free to email me.